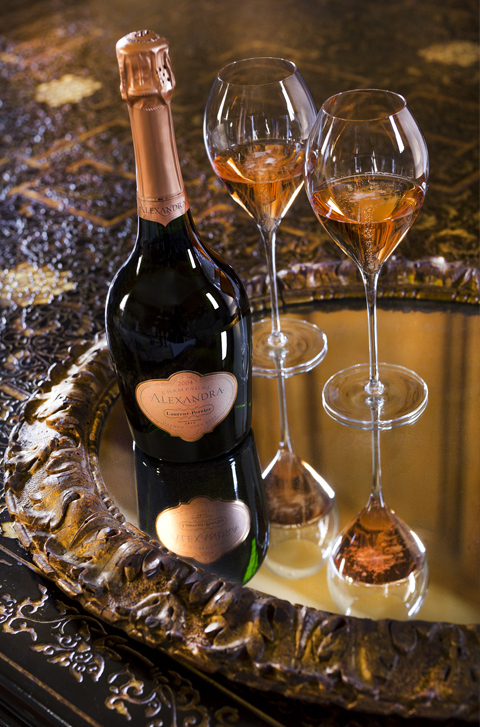 Only outstanding vintages are deemed worthy of a Grande Cuvée Alexandra Rosé. These exceptional years are eagerly awaited, yearned for…. Each harvest is closely monitored and gauged. Grape quality, sugar concentration, acidity, and potential for development are all scrupulously analysed and weighed in the balance by Michel Fauconnet. Looking back at that spring of 2004, a lengthy period of wet weather gave way to what looked like being a sunny summer. The damp spring fed a profusion of bunches. 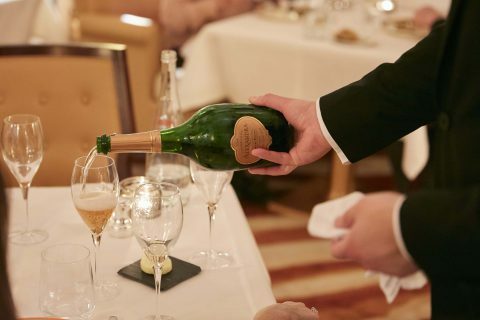 Bucking every expectation, 2004 was simultaneously generous and opulent. September promised both quantity and quality: the bumper Champagne grape harvest beat all records. The first tests carried out in the vineyards confirmed the healthy state of the vintage. The consensus view among the experts was that 2004 was one of the greatest vintages in two decades. Crus: 100% Grand Crus. Some of the most prestigious crus such as Ambonnay, Bouzy, Verzenay for the Pinot Noir and Avize, Cramant and Le Mesnil-sur-Oger for the Chardonnay. The selection of plots and vineyards for the perfectly ripe Chardonnay and Pinot Noir was extremely strict. Ageing: released from the cellars after 10 years ageing. An Alexandra Rosé Cuvée vintage is only created in years when the Grand Crus grapes of Pinot Noir and Chardonnay reach maturity at the same time. During the Pinot Noir maceration, 20% of Chardonnay is added. Only 7 vintages have been released since its launch in 1987.
of candied fruits. Elegant and refined, this wine shows great minerality. Its soft and dry texture leads into a long finish indicative of berry fruit. Serve between 10°C and 12°C.